We’d love your help. Let us know what’s wrong with this preview of To Die To Live by Jason Hershey. To ask other readers questions about To Die To Live, please sign up. I would like to start this review by thanking Jason Hershey. He contacted me through my blog to see whether I would be interested in reading To Die To Live, and after sending me a copy he was lovely when life threw some curveballs our way. First my Kindle decided to give up life, then when my Kindle was working the mobi file of this story errored on me. Through it all Jason Hershey was patient and understanding, something I’m really grateful for. Top marks right there, for being a great human be I would like to start this review by thanking Jason Hershey. He contacted me through my blog to see whether I would be interested in reading To Die To Live, and after sending me a copy he was lovely when life threw some curveballs our way. First my Kindle decided to give up life, then when my Kindle was working the mobi file of this story errored on me. Through it all Jason Hershey was patient and understanding, something I’m really grateful for. Top marks right there, for being a great human being. Of course, you care about the actual story. It’s always great to know there is a wonderful human being behind a story, but what you’re reading this for is what I thought of the story. It’s a very quick read, one you can easily complete in under an hour. Despite the length, it comes with a very deep message and touches upon a very real topic. It really is a very simple book, yet there is so much depth in so few pages. It’s about friendship, about connecting with others, about finding yourself, about doing what is right for you. So much is touched upon in so few pages, so many things important to teens, and it’s truly wonderful. I now hear you asking why I just gave it three stars. Truthful, it’s a three-point-five read, but I rounded down. The reason I gave it such a rating is because the story was very much a case of telling instead of showing. We were told how things were, rather than being shown. Instead of being able to gauge the reactions, we were told what reactions were. I admit that it works well in such short stories, yet I never find myself fully immersed in stories when such is the type of storytelling. I’m sure many others will enjoy this style of storytelling, but such is not for me. Loved it! Left me happy sad crying and wanting more can't wait till next book. I was graciously given the unique opportunity of reading an advanced copy of “To Die to Live” by Jason Hershey in exchange for an honest review. That being said, it has not altered my opinion of the book whatsoever. You can expect Jason’s book to hit shelves November 2nd 2016. If you’ve followed my blog at all, you’ll realize I break down books in several different ways. One is the cover. If I were to see this particular book on the shelf, I don’t believe I would be drawn to it- most likely this I was graciously given the unique opportunity of reading an advanced copy of “To Die to Live” by Jason Hershey in exchange for an honest review. That being said, it has not altered my opinion of the book whatsoever. You can expect Jason’s book to hit shelves November 2nd 2016. If you’ve followed my blog at all, you’ll realize I break down books in several different ways. One is the cover. If I were to see this particular book on the shelf, I don’t believe I would be drawn to it- most likely this particular book would have to be recommended to me. Just because a book does not appeal to a reader aesthetically, does not mean that you won’t enjoy it. At the sight of the first page of this book, I really liked the author- he got to my inner nerd, which truly isn’t that hard, but I do enjoy seeing aspects of it in books. To most, a mere quote from Game of Thrones may not come across as nerdy, but hey, not everyone goes around quoting one of my favorite book to TV show adaptations. The prologue resonates with me to a T- the everyday dread of the alarm clock ringing, and the inevitable aches, pains, and all around tiredness that comes with people who are not morning people. Meet Thelonious Mitchell- our seemingly main character of the story. It seems as though Theo has been adopted by his Aunt and Uncle. Per usual, the reader is introduced to all the trials of a teenager; Theo is enrolled in a new school where the student body all looks similar with their name brand clothing. Theo compares this school to his old school, no metal detectors, no clear backpack, and no security guards- a stark difference to his new school. Theo is feeling a bit self conscious since he doesn’t fit in with the rest of the school. After his first class, he reluctantly made his first friend, Draven. Although not immediate best friends, at least Theo has introduced himself to one person on his first day. This is the debut YA book from new author Jason Hershey, a short novella about two high school boys who forge an impossible friendship, and the hardships of growing up with parents with substance abuse problems. The story started off with an average kid named Theo at a new high school, you could tell that the kid didn’t really fit in with others all that well. It is hard for him to meet new friends, since he has never really had many friends to begin with. When a school bully picks on him and b This is the debut YA book from new author Jason Hershey, a short novella about two high school boys who forge an impossible friendship, and the hardships of growing up with parents with substance abuse problems. The story started off with an average kid named Theo at a new high school, you could tell that the kid didn’t really fit in with others all that well. It is hard for him to meet new friends, since he has never really had many friends to begin with. When a school bully picks on him and beats him up at school, another stronger boy named Draven steps in and helps Theo. They strike up an unlikely friendship, this smart loner kid and this troubled tough kid. This is a moving story and love and loss and how to cope with the overwhelming emotions of both. It is a quick read. Very to the point, it honestly took me less then an hour to read, because of both the length and how into the story I was. It was totally relate-able. It isn’t a long story so there isn’t much time to flesh out characters, but that was ok. It wasn’t hard to connect with them at all. There is something about the way that the author tells the story that allows you to become invested in Theo early on, and as he begins to trust Draven, you see how special he is, and you trust him too. I might have been a little slow to start in the first chapter, but it picked up after that and flowed smoothly. In way, it might have been too short! Honestly I liked these two boys enough that I would have dedicated more time to reading about them and their back stories then I already have. More Jason, More!! MoMo’s Book Diary enjoyed Jason Hershey's debut novel “To Die To Live” and recommends it as an emotional 3 star read. Jason Hershey has written his debut novel for the Young Adult market. I was provided with a copy to read and review for the author and I am glad I did, it's a real page turner and I read it in one sitting. The lead character of the book is Thelonious Mitchell, known as Theo, adopted by his aunt and uncle following his mother’s death. 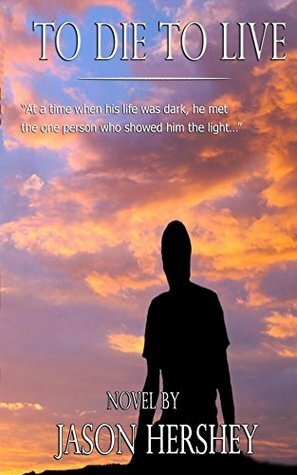 Theo is a teenager with issues, he is a loner an MoMo’s Book Diary enjoyed Jason Hershey's debut novel “To Die To Live” and recommends it as an emotional 3 star read. Review originally published on Joyful Antidotes. Admittedly, I am not a big fan of short stories, neither am I of YA fiction. However, sometimes there are books which come along that break through this wall, and To Die To Live by Jason Hershey was certainly one. To Die To Live tells the story of Thelonious “Theo” Mitchell who is adopted by his aunt and uncle following the loss of his mother. Having started a new school, he forms a strong friendship with the class “troublemaker”. When another trage Review originally published on Joyful Antidotes. To Die To Live tells the story of Thelonious “Theo” Mitchell who is adopted by his aunt and uncle following the loss of his mother. Having started a new school, he forms a strong friendship with the class “troublemaker”. When another tragedy strikes Theo, it leaves him pondering his life path and the meaning of it all. Hershey has a wonderful way of writing which really puts you right in the head of a teenage boy. As I read every word, I became Theo and his feelings bubbled up inside me. The writing was very sombre, I would say, and simple, but that just added to the emotion I felt. It was a short story so not every detail was described but I liked this. Often, what you imagine is worse than the reality. What was not said by Hershey was imagined by me. Whether that was intentional or not, it added to the desired effect. Hershey dealt with the theme of teenage grief wonderfully and I think this was the strongest part of the book. As mentioned above, not everything was explained. Again, this may have been a writing tactic but it was also a tactic of truth. Not everything in life can be explained, especially grief, and even more so, teenage grief. I really didn’t know what to expect from this story but, for sure, it was a whole lot more than I though. The perfect length to cover during a short commute, I certainly recommend picking up a copy and reminding yourself life is there to be lived. I usually don't read YA books, but when the author reached out to me to read To Live to Die, I was intrigued. The story is told from Theo's point of view. He's a shy kid, starting out at a new school after his mother dies and his Aunt and Uncle adopt him. He's lonely, without any friends. From his description of his first day, he comes from a rough school complete with metal detectors at the entrance. It's a culture shock for him and he doesn't fit in. After getting picked on by the class bullies, he becomes friends with the class rebel. As their friendship forms, he begins to trust again. All is going great, until tragedy strikes and he's faced having to start over. This is a very short read (under 100 pages), and I was able to read it in a day. I really liked the author's writing. He's very descriptive, but not in a "let's get on with it" way. For the author's first book, it is very good. Although the writing and the story were strong, I felt overall they lacked depth. I wasn't able to connect with the character, and some scenes were so rushed, I had to turn back the pages to realize what just happened (for example, between Theo and the grandmother). I would have liked to see more development around that story line, or with his caregivers. Overall, I think the future books in this series have potential. I'd like to see Theo come out of his shell and embrace life. I'm curious to watch him involve and become a man. The simple concept of the title for this novella made me wonder if it would be far too sad or indeed shed a light on hope. Theo is a kid with issues, no doubt about it. His childhood has thrown him some of the worst deals imaginable. He gets to live with his Aunt and Uncle, starts a new school and the trauma that goes with being the ‘new’ kid. At this point I convinced myself the tragedy would be contending with the bullies. The utter sense of bewilderment going in each day and trying to blend i The simple concept of the title for this novella made me wonder if it would be far too sad or indeed shed a light on hope. Theo is a kid with issues, no doubt about it. His childhood has thrown him some of the worst deals imaginable. He gets to live with his Aunt and Uncle, starts a new school and the trauma that goes with being the ‘new’ kid. At this point I convinced myself the tragedy would be contending with the bullies. The utter sense of bewilderment going in each day and trying to blend into nothing just so they would leave him alone. Then out of the blue along comes Draven, a kid who doesn’t talk much certainly doesn’t trust anyone and after coming to Theo’s aid one day they have no clue how to form a friendship. They bond over music and Theo helping Draven study. With time they blend together, Theo exploring colleges but Draven has no desire to leave the area or his Grandma. As time goes on life becomes their new normal .. but again Theo is tested to the limits as events unfold. This is a beautiful story of loss, friendship, trust and testing faith of any kind. As sad as it made me it also uplifted me, a sense of achievement being possible if you are determined. I’m looking forward to following Theo on his further travels. Find someone to ignite your spark …. I'm not even sure where to start... while this book was a simple, easy and short read, I feel like it lacked in substance for me. First of all, I had a hard time connecting to Theo as a character and as our narrator. I feel like even though this story was in first person, I just didn't get enough of his inner monologue at all - I wanted more from him. The story was telling me how he felt, instead of showing me how he felt (and how I should feel). It was also hard to follow the timeline - I didn't I'm not even sure where to start... while this book was a simple, easy and short read, I feel like it lacked in substance for me. First of all, I had a hard time connecting to Theo as a character and as our narrator. I feel like even though this story was in first person, I just didn't get enough of his inner monologue at all - I wanted more from him. The story was telling me how he felt, instead of showing me how he felt (and how I should feel). It was also hard to follow the timeline - I didn't have a clear idea of how much time passed between Theo meeting Draven and when everything went down. I felt like Theo didn't know Draven well enough yet for me to believe his feelings towards what happens. This was a very short read and I finished it in just one sitting. It was totally different to what I would normally read, but I did still like the story, as I read books from this genre when I was younger. After being adopted by his Aunt and Uncle, Thelonius 'Theo', is hesitant to start a new high school. Whilst being worried about his lack of friends, Theo runs into Draven, his soon to be best friend. But, after disaster strikes, will Theo be able to carry on and live his life or will he crumble into the deep depths of loneliness? I did enjoy this story, but I think there is definitely room for it to be expanded on. I didn't feel like I had the greatest connection with Theo or Draven, so I would have liked to have gotten to know them a lot more. Similarly, I was interested in finding out more about Theo's past and his parents lives. However, as a novella, this plot line worked and it was a lovely 3.5 stars for me. A short story with a strong message. When Theo makes an unlikely friendship with the school "badass", the two realize there is more to people than meets the eye. Through deep conversation, studying both each other and their school work, and teaching one another about life, Theo comes to terms with what life is all about. From an unexpected source, he finds the strength to fight for his goals and make the most of his life and future; knowing he has the ability if he just puts his mind to it. A ve A short story with a strong message. Originally this book was the sort of thing I would normally give a miss to, based on the synopsis. But after a bit of a challenge from the author (a good-natured "I really feel you are missing out") I couldn't resist. So rising to the bait I embarked on a story of loneliness, sorrow, friendship and life tragedy. All in all, a really well written piece. Fast-paced, but heartfelt short story full of loss, love, and hope. Don't read this without expecting to feel something for what the character endures. Highly recommended.